In January of 1953, the Corvette was first shown at the General Motors Motorama at the prestigious Waldorf Astoria in New York City. Just six months later, June 30th to be exact, the first Corvette rolled off a pilot production line in Flint, Michigan. 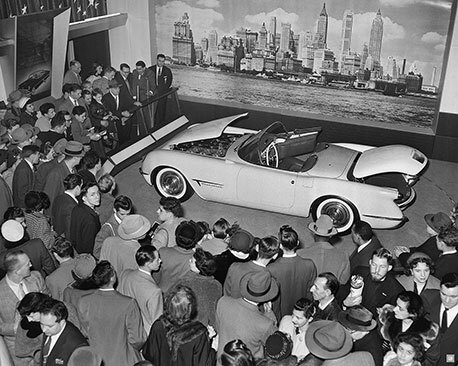 1953 GM Motorama in NYC where the Corvette was first shown to the public. Production launched just 6 months later in Flint, MI. – GM Heritage Center. Mostly hand-built, the Corvette was available only as a convertible with a white exterior, red interior, and a black top. However, the gorgeous styling was let down by the underpowered inline six-cylinder which nearly caused the program to be killed. Thankfully, the V8 came jusit two years later and solidified the Corvette name in American sports car history. To celebrate the Corvette’s 65th anniversary, Chevrolet is introducing the Carbon 65 Edition package. Limited to a production of only 650 units, the package (internally known as Z30) is available only on the top tier trims within the Grand Sport and Z06 Corvette models. As the name implies, it is heavy on lightweight carbon-fiber, inside and out. Grand Sport Carbon 65 Edition. Carbon-fiber roof, hood insert, front splitter, side rockers, rear spoiler, rear qtr intakes, wheel center caps. Unique decals and carbon flash-painted mirrors and emblems. On the exterior, the Ceramic Matrix Gray Metallic colored body receives a carbon-fiber constructed roof (or tonneau cover in the convertible), hood insert, rear spoiler, rear quarter intake ducts, front splitter, and rocker extensions. Additionally, the mirrors and emblems are carbon-fiber flash-painted and there are unique graphics along the front fenders and doors as well as uniquely colored blue brake calipers. The black wheels feature carbon-fiber center caps and are wrapped in your choice of summer-performance tires. Grand Sport Carbon 65 Edition. Carbon-fiber dash panel, and steering wheel. The theme continues inside with a high gloss carbon-fiber instrument panel and a carbon-fiber/ suede microfiber steering wheel. The GT-style seats are replaced with the more aggressively bolstered Competition Seats and lastly, a numbered plaque sits ahead of the 7-speed manual or 8-speed automatic transmission shifter. Approaching the Grand Sport coupe Carbon 65 Edition in person, the off-white Ceramic Matrix Gray Metallic body color provides a sharp contrast to the carbon-fiber ground effects while the unique blue fender graphics and Carbon 65 script on the door further its cache. 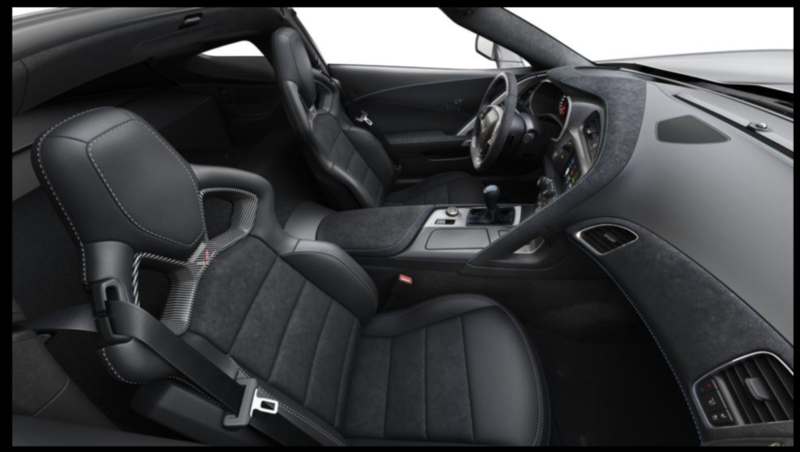 Sliding into the driver’s seat, the additional support of the Competition Sport bucket seats is immediately noticeable. They feel impressively snug and, during my short drive, proved comfortably padded despite the rough roads. The rest of the driving experience is the same as any standard Grand Sport model; loud, fun, and intense. The immediate power of the engine is absolutely awesome and always on the ready while the great handling limits of the chassis are difficult to sanely explore on the road. For me, a day or two on the track would be needed before I am ready to get the most out of the car. 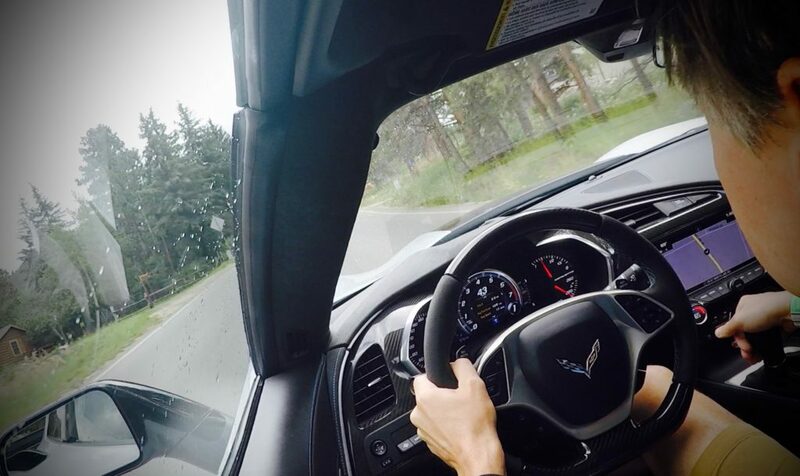 Thankfully, the Corvette Club offers just that through a two day driver’s course that specializes in the handling performance of the Corvette. Driving the Grand Sport is intense with immediate and intense power available at any time. An American icon, this latest anniversary is celebrated with a high tech special edition that symbolizes what it has become. 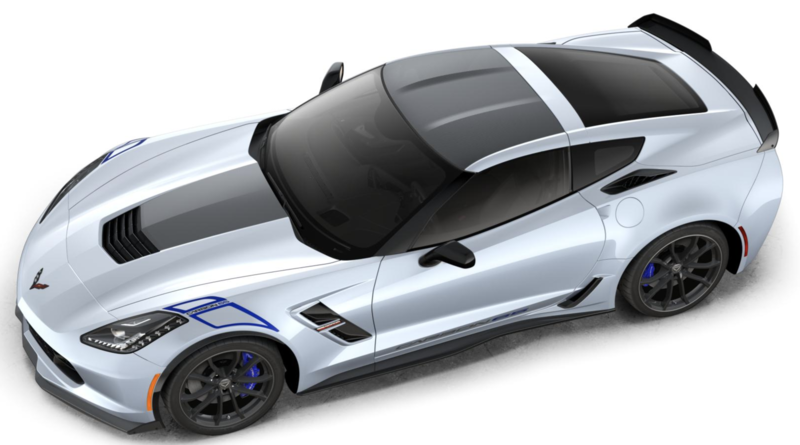 For the Corvette buyer who desires the carbon-fiber appearance as well as a sense of exclusivity within the community, the 2018 Carbon 65 Edition package presents an attractive sporting design over top of a package that, unlike the original, no one will criticize for a lack of performance.